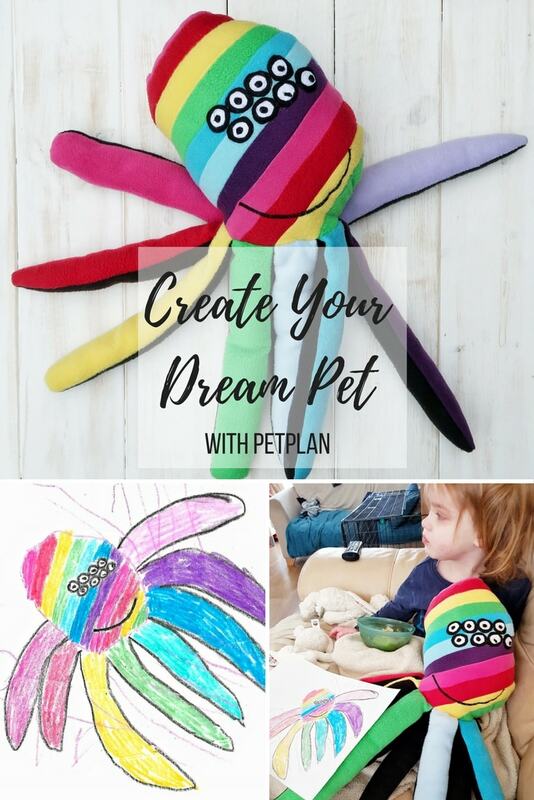 When pet plan first approached us, I knew that Littlest would absolutely love designing her own pet and seeing it brought to life. 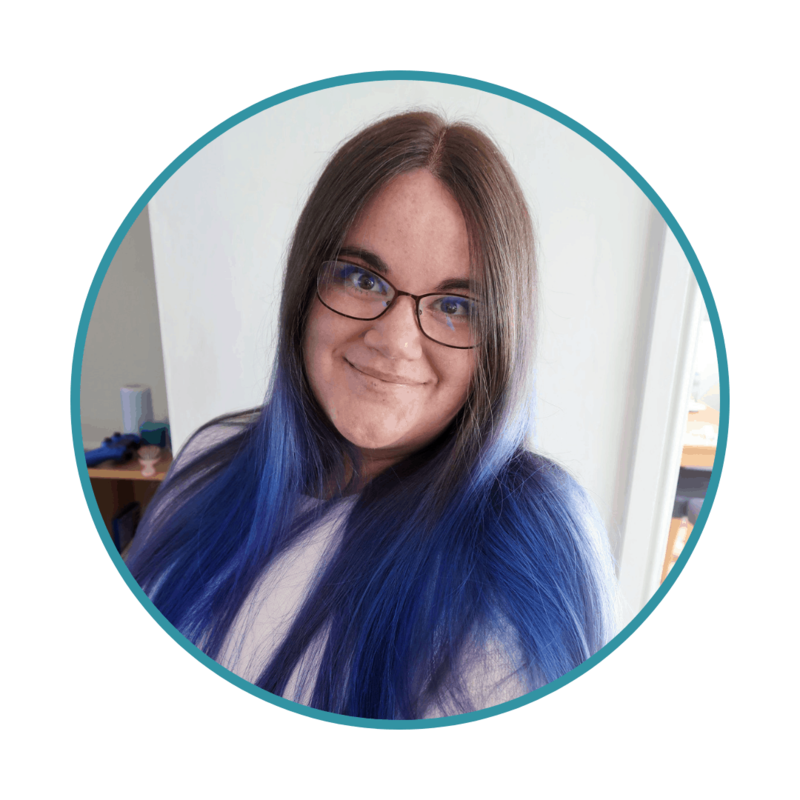 She loves animals and soft toys fiercely and drawing and painting come a close second – so it was always bound to be something she loved doing. You can see the drawing that Littlest and I made above. Below, you can see the final toy is all its glory. Littlest’s face when she opened the package and saw Mr. 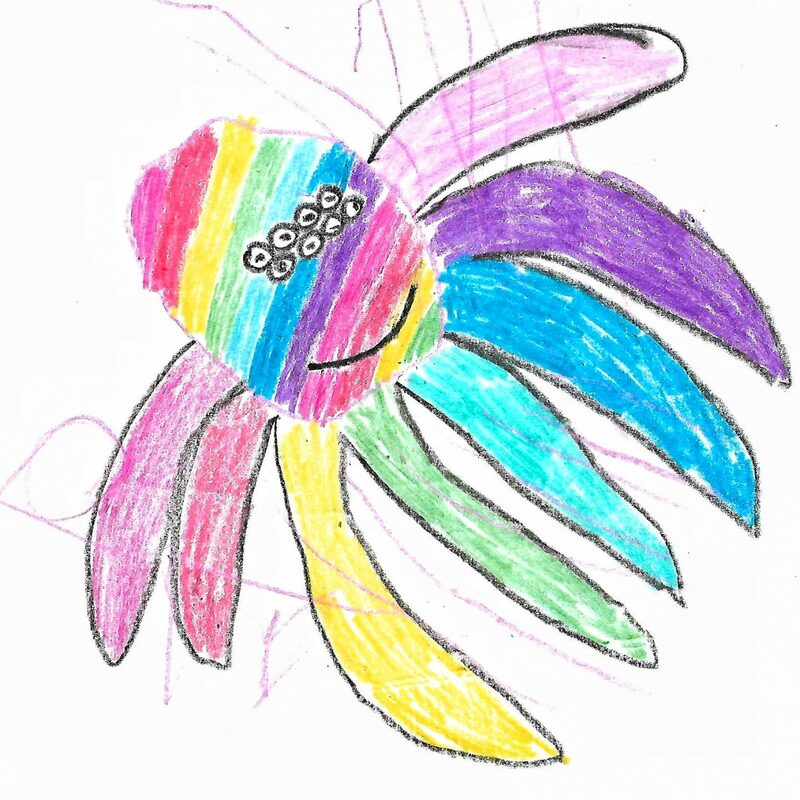 Happy Rainbow Spider for the first time was truly a joy to watch. She was absolutely mesmerised and he has not been far from her side since. 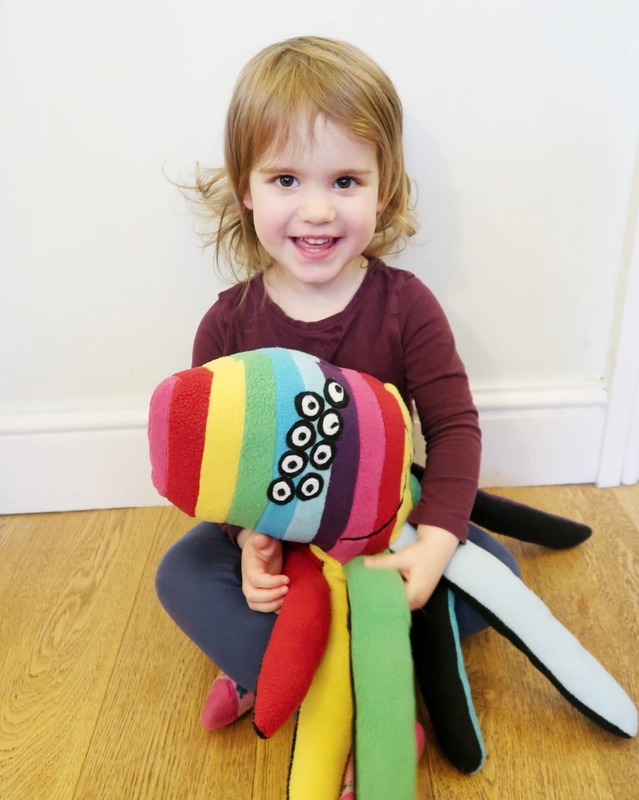 I am so glad that we got to take part in this campaign because Littlest loved every minute of it. 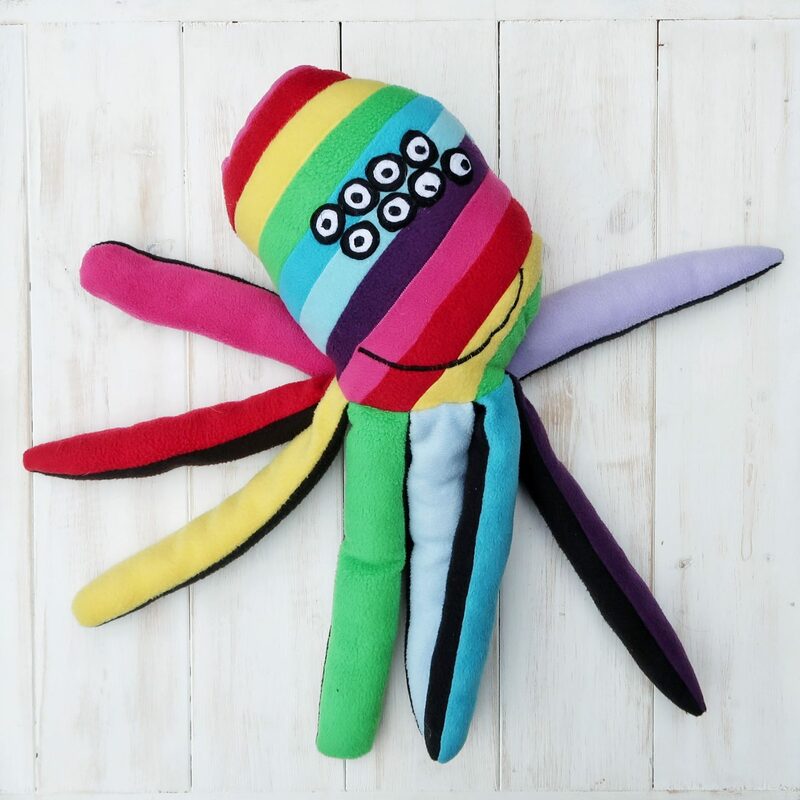 The final soft toy is gorgeous – so soft and snuggly and actually quite cute. He is an improvement on Peppa’s Mister Skinny Legs. 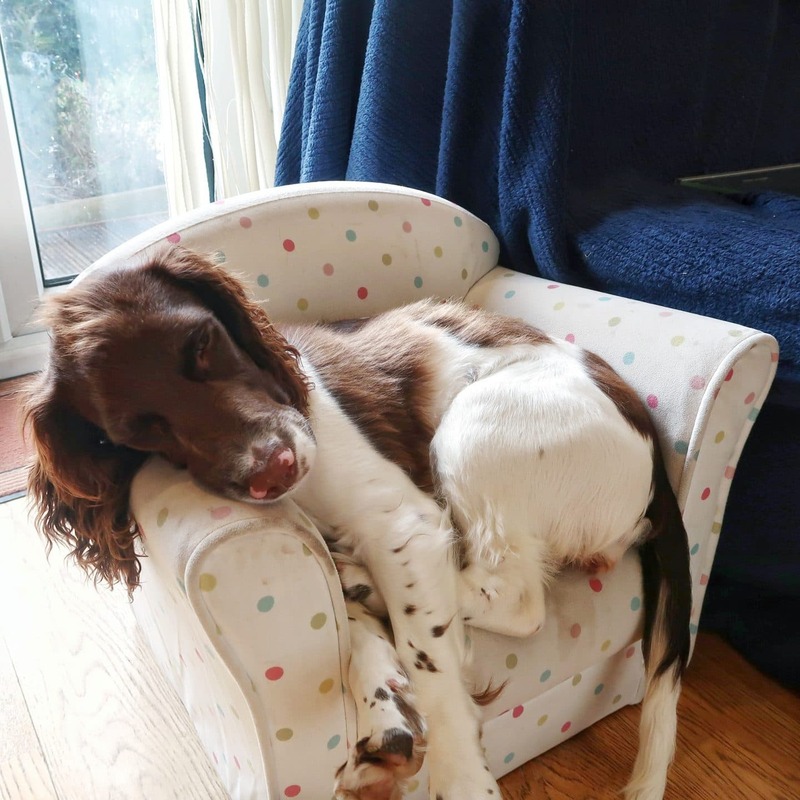 Of course, we have just welcomed our very own real life dream pet to the family – Willow the dog. Littlest was very keen to tell me that, though she loves Mr. 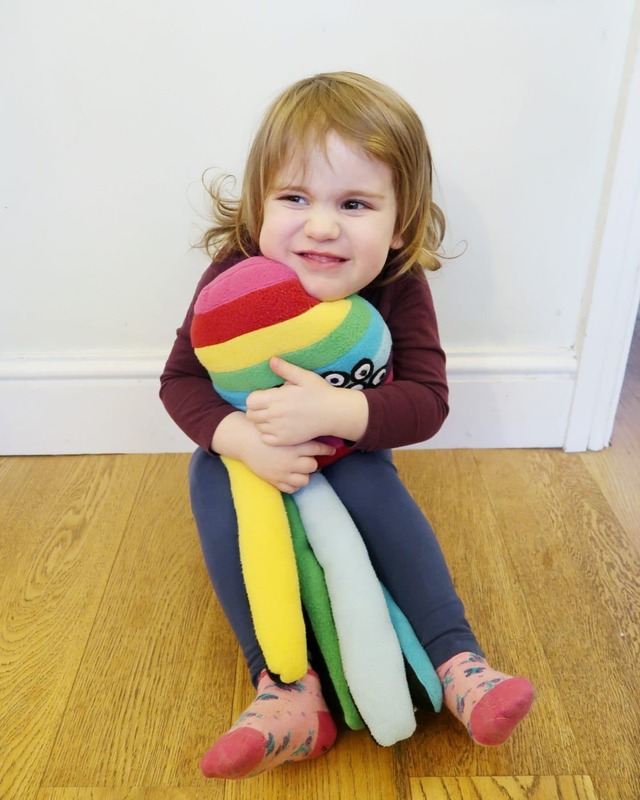 Happy Rainbow Spider very much, she loves Willow equally. When you are responsible for a pet who is so treasured, pet insurance from Petplan is an absolute must. When we got Willow I actually arranged the top level of pet insurance from Pet Plan, because I know they have the reputation of being the gold standard of pet insurance. This was long before they approached me for this campaign – we are genuine fans and customers. Petplan’s priority has always been to keep the nation’s pets healthy and their owners happy. They are one of only a few pet insurance providers to offer genuine ‘lifetime’ policies. Petplan also works with more animal re-homing charities than any other pet insurance provider. In addition, the Petplan Charitable Trust has so far raised more than £7 million towards a better, healthier world for animals. 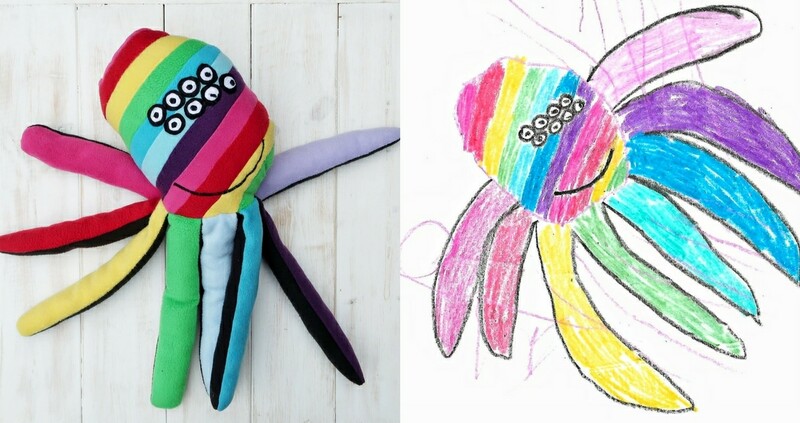 And they have made one little girl very happy with her new pet spider.